A fusion of various south east asian cuisines, Thai food is known for its aromatic components, spiciness, as well as the perfect harmony of sweet, salty, sour and bitter. 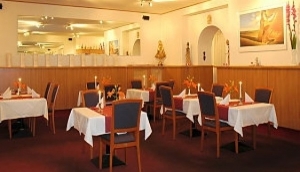 There are around 60 Thai restaurants located through the city of Berlin. These range from budget establishments, heavy handed on the MSG, to authentic Thai restaurants serving traditional Thai recipes. Whether you are after a red or green curry, pad thai, or a fiery laksa, My Destination Berlin have compiled a list of the best places in Berlin with an emphasis on fresh ingredients, and authentic flavours.